Pantomime is an acting technique that conveys emotion through non-verbal communication. Occasionally referred to as ‘the art of silence,’ pantomime relies on facial expressions, body language and gestures. 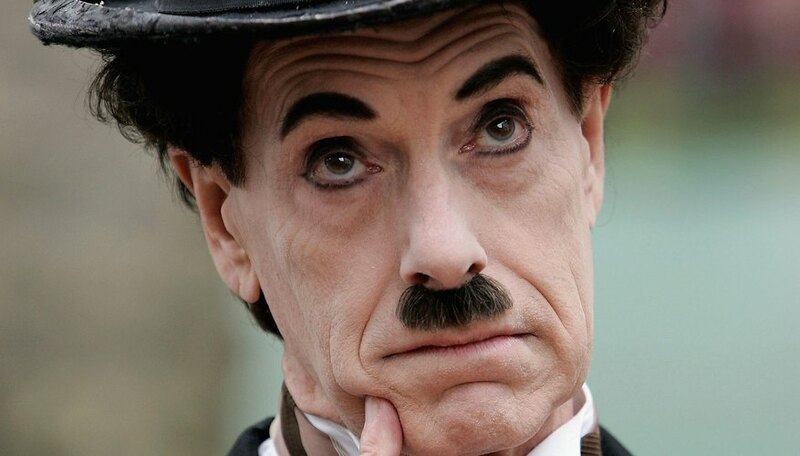 Charlie Chaplin is perhaps the most famous actor of the silent film era to master the art of pantomime. Pantomime teaches actors to not only rely on their voices, but their bodies and faces to tell a story. Learning pantomime techniques are important for any actor or performer. Pantomime teaches actors to build their character based on emotion. The character is stimulated emotionally, and the pantomime is the resulting physical response. Pantomime helps the audience understand the character’s thoughts and emotions without verbal expression. The character’s personality is also defined physically. Therefore, actors learning pantomime will practice relaxation techniques as well as techniques that create a physical manifestation of personality and emotion. Pantomime is rooted in physicality; therefore, exercise is an important principle and technique in pantomime. Actors need flexibility and great control over their bodies when performing. To have control and flexibility, the actor will need to develop the physical coordination and muscle strength that allows him to balance, fall and walk based on the character’s personality. Exercise such as walking, yoga and climbing stairs are essential to developing the control needed for pantomime. Relaxation techniques are essential to pantomime because they help the actor gain composure and mental alertness. Relaxation techniques begin with deep breathing. Next, actors will roll their necks, followed by their shoulders and their arms in a circular motion. They will also roll their wrists and ankles, one at a time. They will bend their bodies forward, backwards and to each side. They will finish their relaxation techniques by picking up marbles with their toes for balance, control and concentration. There are various techniques to convey different personality types. For example, to convey a self-assured and determined character, the actor will stand up straight. Each movement is conducted with assurance and power, with definite and broad gestures. On the other hand, to convey a character that is timid or shy, the actor must appear drawn in, weak and limited; he will assume an introverted, protective stance and limit the motion of his body with movements that direct inward. Pantomime incorporates techniques to convey emotion within facial expressions. When expressing happiness, the actor will raise his brow, curve his lips upward, parting the mouth slightly in addition to squinting to appear as if he is smiling with his eyes. Surprise is conveyed by opening the mouth to an O-shape, raising the brow and opening the eyes as wide as possible. Conversely, anger is expressed by turning the brow and mouth downward, while firmly setting the jaw in a dropped position. Sadness is conveyed by turning the mouth, the brow and the eyes downward, while allowing all the muscles in the face to sag. The chest is the central point of all action in pantomime. Actors will use the entire body to react and express emotion. Gestures in pantomime are exaggerated. When expressing positive emotions, actors will create free-flowing movements, maintain an elevated chest and gesture broadly. Negative emotions are expressed through restrictive gestures and a chest that is drawn inward. The body will appear tense and rigid.